Shelly played baseball and graduated from Fernandina Beach High school in 1985. He then went on scholarship to play baseball at Andrew College, graduating in 1987 with his Associates Degree. After an injury ended his playing days during his Sophomore year, he returned to his roots and began coaching Fernandina Beach High School, where he remained until 1997. During that time, in 1991 he coached his summer ball team to a National Championship and a #3 World Ranking. He became the hitting instructor with Doyle Baseball Academy from 1992-1993, widely regarded as the #1 baseball school in the world. He coached at First Coast High School from 1997-1998. He then moved on to Arlington Country Day from 1999-2000 where he won back to back State Championships. 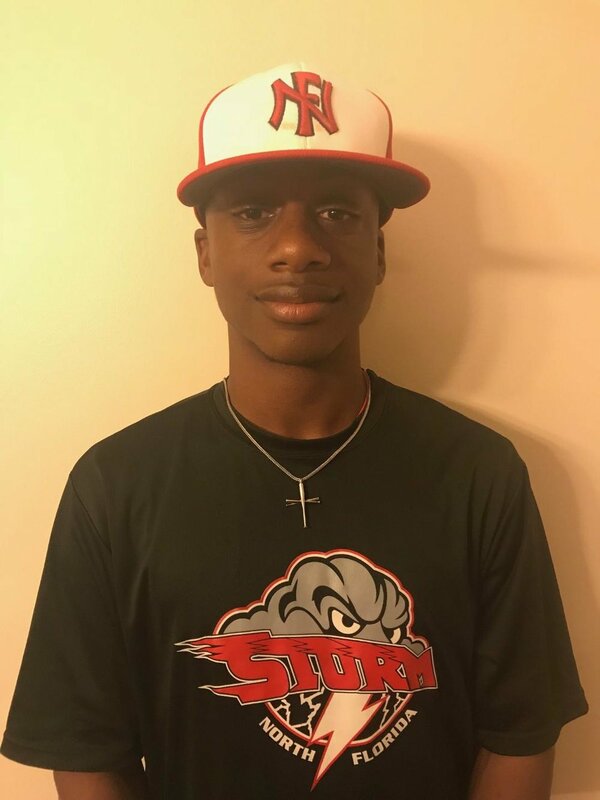 The birth of North Florida Storm came in the summer of 1999, and had such players as Howie Kendrick, Billy Butler, and our very own Reggie Johnson. They won the State Championship and finished #3 in the country. He has continued his success with North Florida Storm to the present day, while being recognized for the Organizations success rate at getting their players into College. A 2007 graduate of Baldwin High School, winning team MVP honors in 2004, 2005, and 2007. Attended North Florida Community College, winning 2nd team All Conference, before transferring to Northwest Florida State College for the 2009 season. He then attended University of West Florida during the 2010-2011 season, obtaining his Associates Degree. During his stint at UWF he was a part of the NCAA Division II National Championship team. He earned ABCA, NCBWA 2nd team All American and Daktronics 3rd team All American. He was also a Tino Martinez award semi-finalist, and set school records with single season ERA leader (0.59), strikeouts per game (16.02), hits per game (3.59), and led GSC in saves. Shane signed a contract in 2011 with the Los Angeles Angels of Anaheim. Was Edward Waters pitching coach from 2012-2016 where his staff finished in the top 5 in the nation for opponents batting average in 2016. Reggie attended and played baseball at First Coast High School. After graduation he went on to attend and play baseball at Florida Gulf Coast University, getting his degree in Business Administration and Sports Management in 2007. He became a Graduate Assistant for the 2007-2008 FGCU Baseball season. He became the Assistant Coach at Edward Waters College in 2009. He became the Head Coach at Edward Waters in 2012 where he remains today. Reggie was also a part of the inaugural North Florida Storm team in 1999. Travis graduated from Crystal River High School in 2013. He started playing with North Florida Storm in 2009, where he played every summer until his graduation. Currently attending Edward Waters College, he is on Coach Shane Waller's pitching staff. Travis earned GCAC All Conference Pitcher honors during his sophomore year in 2015 as well as GCAC Pitcher of the Week twice in 2016. George played baseball and graduated from Paul VI High School in New Jersey in 2010. He then went on to attend Jacksonville University from 2010-2014. He was later employed by the Florida Times Union covering High School sports. He would later become an Assistant coach for Orange Park High School and Terry Parker High School, as well as Head Coach at Westside High School. Coach Wahl is his first season as the Head Baseball Coach at Paxon High School. Joe Berardi played his college baseball at Concordia College for ex NY Yankee and World Series champion Del Alston. He was a standout LHP and first baseman. He coached HS baseball at Lincoln HS as well as perennial powerhouse and NYC Champion Iona Prep for 5 seasons. He was an assistant coach and head coach at Concordia as well before signing a minor league contract in the Northern League where he played for Paul Blair in Yonkers, Ken Oberktfell the following year in Elmira, and Allentown, PA for Ed Ott. He can work with pitchers, hitters, and outfielders and has an old school, fundamental approach to this game. He brings passion and desire to the field and his approach will be contagious to all that come into contact with him. Rey attended and played baseball for Sandalwood HS from 2005 to 2008. He transferred to Arlington County Day in 2009. Upon his graduation, Rey attended Cowley County College(KS) from 2009 to 2011 where he was the starting catcher. In 2011, Rey received a scholarship to Edward Waters College where he was a standout catcher for the Tigers. After earning his degree at EWC, Rey signed a professional contract with the Evansville Otters of the Frontier League (2014). Rey has also played professionally for the Laredo Lemurs of the American Association (2015) and the Sussex County Miners of the Can-Am League (2016). Rey is in his 3rd season as assistant coach at EWC. A former player in the Storm organization, Jordan graduated from Duval Charter in 2016. Jordan was a 4 year varsity letterman, 3-time Varsity MVP and Team Captain. As a Senior, Jordan hit .382 and finished with a 2-0 record, 4 saves and 26 strikeouts as a pitcher. Jordan currently attends Trinity Baptist College, majoring in Business Management while playing outfield and pitcher for the Eagles. Coach Angel Ortiz grew up playing baseball in Bronx, NY while attending DeWitt Clinton HS. After graduating high school, he joined the Army where he received an honorable discharge and then moved to Jacksonville in 1993. He began his coaching career in 1997, coaching his son. Coach Ortiz has extensive coaching knowledge that even includes coaching 4 years of fast pitch softball. He is currently the head coach of Landrum Middl School where he has been for the past 5 years. Esix attended the University of Central Florida in the mid to late 90s where he played both baseball and football. In 1998 he was drafted by the St. Louis Cardinals in the 18th Rd. He played for 4 major league organizations from 1998 to 2006 including the Cardinals, Braves, Mets, and Orioles. He also spent parts of 2 seasons in the big leagues where he hit a walk off homerun against the Montreal Expos. He lists 8th all time in minor league history with over 500 career stolen bases. He played along side many big league players including Albert Pujols, Jose Reyes, Tom Glavine and Mike Piazza to name a few! Coach Sirman is a graduate of Madison County High School in 2002. Upon graduation, he went on to North Florida Community College to earn his AA Degree and play baseball for the Sentinals. After those 2 years, he went to play baseball and continue his education at Valdosta State University. He returned to Madison upon graduation where he became the varsity pitching coach from 2007-2011. Has also made coaching stops in Pelham High School (2011-2014), Lowndes County High School (2015-2016), Paulding High School (2017-2018) and is now the current head coach at University Christian. Coach Sirman is married and has 2 daughters. Coach Jiwan is from Williston, FL. After his high school career was over, he signed to play collegiality at the University of Florida, but chose to forgo that commitment after he was drafted by the Philadelphia Phillies. Jiwan spent his first 2 seasons with the Phillies as a pitcher, but moved to the outfield after suffering an arm injury. After the move, he was named a Top 10 prospect in the organization by Baseball America. He was also awarded with being the best athlete in the organization, fastest baserunner, best defensive OF, and having the best OF arm. Jiwan is now an assistant coach serving as hitting and OF coach at Williston High School. Coach Rosado attended Flagler Palm Coast High School. He graduated in 2015 and continued his academic and baseball career at Thomas University. His left Thomas after a labrum tear and after surgery to repair his labrum, he attended FSCJ while studying criminal justice. He is currently the JV Head Coach at Menendez High School. Zach is a 2009 graduate of Flagler Palm Coast. He attended Newberry College as a relief pitcher from 2009 ro 2010. He attended Thomas University as a Catcher from 2014-2016. He currently the Varsity assistant coach at Pedro Menendez High School but brings a lot of coaching experience with stops at Matanzas High School and Flagler Palm Coast High School. Coach Santiago was a 4 year letterman and All-City player while attending Bolles High School. Upon graduation, he went on to attend Pasco Hernando Community College while earning a full scholarship. After obtaining his A.A. Degree in Business Administration, he attended UNF and earned his Bachelors Degree in Sports Management. He began his coaching career as an assistant coach on the middle school baseball coaching staff at his alma mater Bolles. He then moved to Duval Charter High School where he became the Middle School Head Coach and a year later would be named the Varsity Head Coach. Coach Santiago is in his 2nd season as Head Coach at Duval Charter. Coach Grillo was a 4 year varsity letterman for Pope John Paul II High School in Boca Raton, FL. He was part of a team that saw a #1 ranking in the state in his junior year. He earned multiple awards including All-City and Academic All-American during his senior year. After his graduation, Coach Grillo went on to play baseball at Rollins College. Coach Grillo brings a lot of experience to the Storm both on the field and in the training aspects of the game. He served as a Speed Program Specialist for Ultimate Speed where he trained numerous athletes including former Olympians. He was also responsible for developing the entire Miami Marlins speed development during their spring training. He is a big proponent of training to increase strength, speed, and endurance. Coach Grillo is entering his 3rd season as Fletcher’s head coach. Austin played baseball and graduated from St. Augustine HS in 2014. 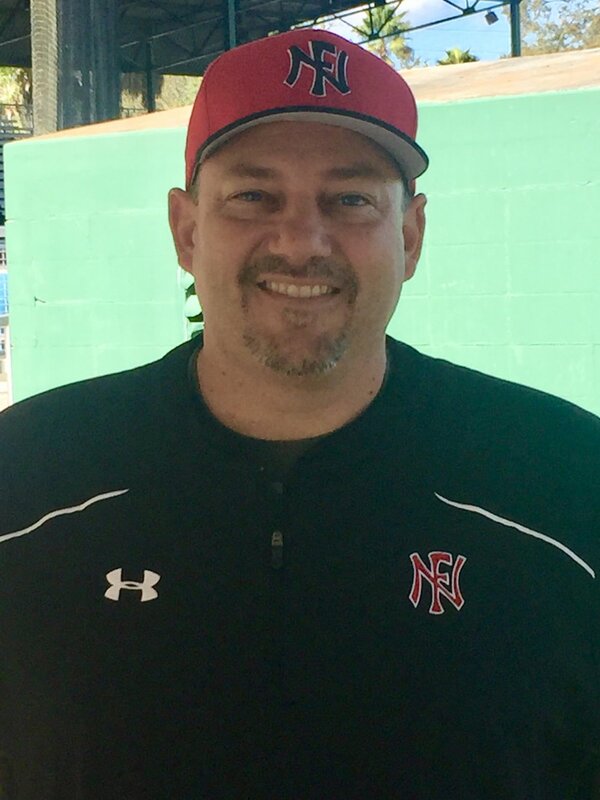 After graduation, he was offered the head baseball coaching position at Gamble Rogers MS. After 2016, he moved to California and coached JV baseball at Lakeside HS. 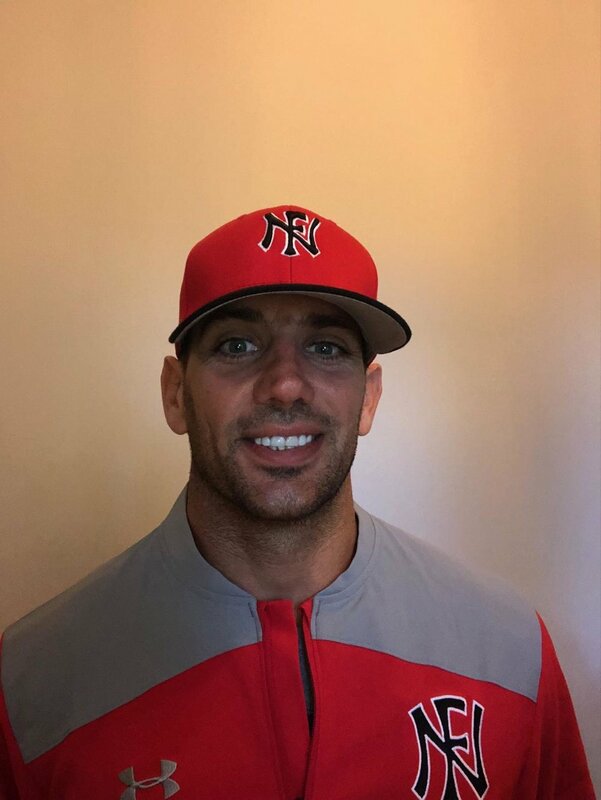 He has recently moved back to Florida and manages the St. Augustine Sharks 13u Travel organization and is starting a new 10u program next year. Jamie is entering into his 16th year of coaching. He comes to the Storm with a very extensive coaching background. Having coached in a Collegiate Summer League, Charleston HS (Mo), Notre Dame Regional HS (Mo), First Coast HS (Fl), Bartram Trail HS (Fl), Providence HS (Fl), and is currently coaching at University Christian (Fl). Jamie played collegiately at Shawnee Community College in Illinois and Blackburn College in Illinois. He won MVP Awards, First Team All Conference and Third Team All Region while there. He also holds several records at Blackburn College. He has been honored to coach or train more than 25 players that received scholarships, 6 of which have been drafted or played professionally. He says his greatest accomplishment is giving his life to Christ in the summer of 2015. Marty is a graduate of Orange Park High School in 1982. He also attended Santa Fe Community College from 1983 to 1984 where he was an All Mid-Florida Conference player and went on to play at LSU. Marty was an All-SEC First Team performer while at LSU. Marty was also drafted 5 times in his baseball career (Rd 17 by Baltimore, Rd 1 (winter draft) by Seattle, Rd 3 by Texas, Rd 3 by Montreal, and Rd 13 by Minnesota). He played every level up to Triple A. Marty was a coach at Fleming Island until 2018. TJ is a former player in the Storm Organization. He graduated from Englewood HS where he was a 4 year Varsity letter-man and team captain. After graduation, TJ went on to attend Trinity Baptist College and play baseball. He started for TBC for 3 year before transferring to Toccoa Falls College for his Senior year. After earning his degree, TJ joined the Toccoa Falls coaching staff as an Assistant Coach. Mike has been coaching baseball for 19 years, and for 16 of those years as the head varsity baseball coach at ESJ. In 2006, Coach Jones won the state championship with the Eagles and the district championship four consecutive years (2011-2014). He won the John Ryan Award for coaching excellence in 2007. As a player Mike Jones was selected in the first round to the Kansas City Royals. He went on to play four seasons in the MLB and played for a World Series champion team. Coach Jones is involved with the Fellowship of Christian Athletes in his spare time. please contact one of our coaches either by e-mail or phone.